Technology has had a truly transformative impact on the healthcare space. 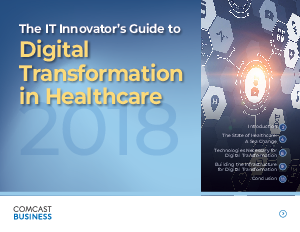 Thanks to innovations in technology, tools and their respective processes, the practice of treating patients has shifted from mostly reactive to proactive, enabling physicians and caregivers to approach healthcare in a more holistic fashion. As part of that shift, hospitals, wellness centers and physicians’ offices are focusing on providing value over volume1, taking healthcare beyond the four walls of the facility and into patients’ homes, places of work and social centers. The concept of whole health is much easier to attain with technology such as artificial intelligence, analytics, wearables and mobile health (mHealth) apps, to name a few.